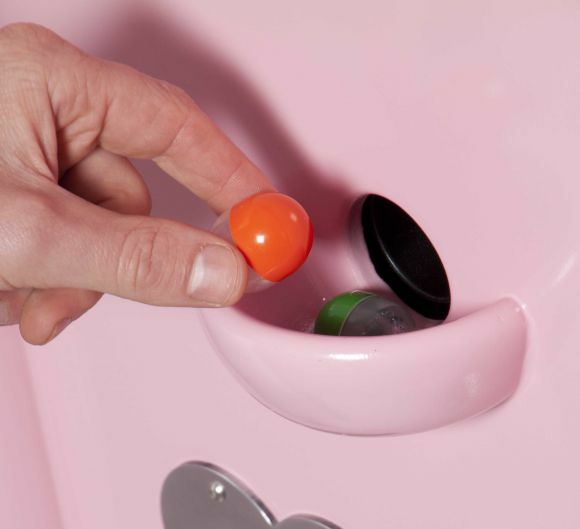 How do you make people value your marketing material so much they pay for it? Simple, print their wedding certificate on the back of your flyer. 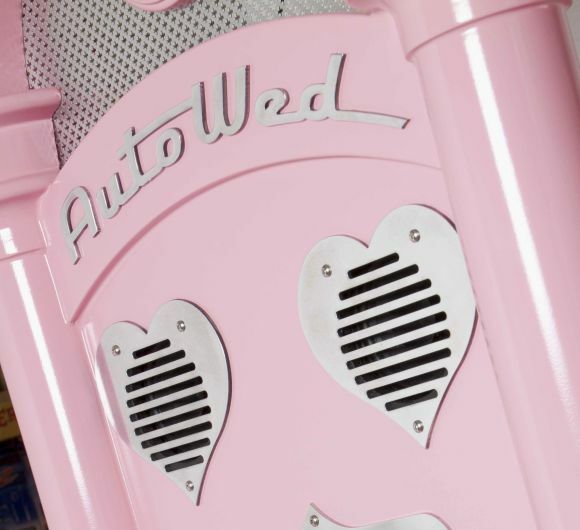 AutoWed is a novelty wedding vending machine that offers a quick, tacky & humorous hitch. 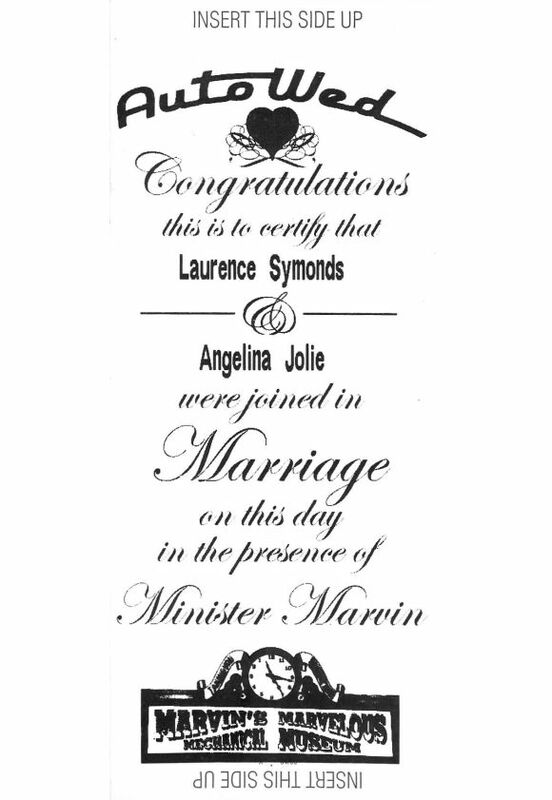 For a quid or two you get a personalised wedding receipt and a couple of rings. 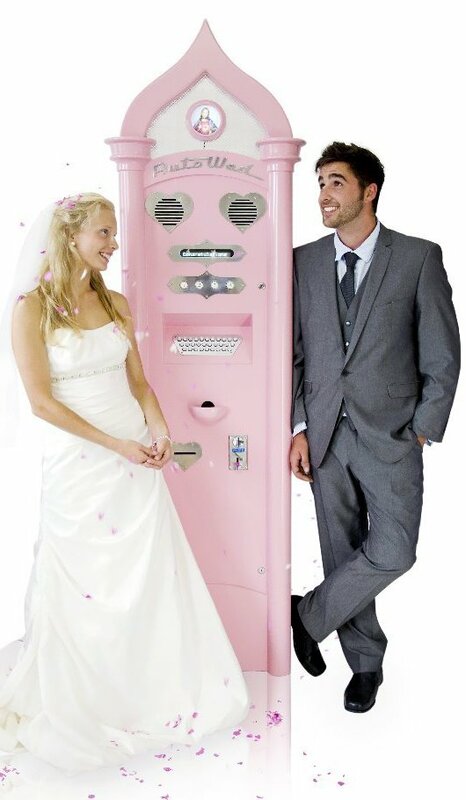 Basically it’s a parking meter turned good – audio prompts, a specially composed wedding march, a steel keyboard and retro display, ring vending and ticket printer all wrapped up in a Cadillac-pink cabinet. 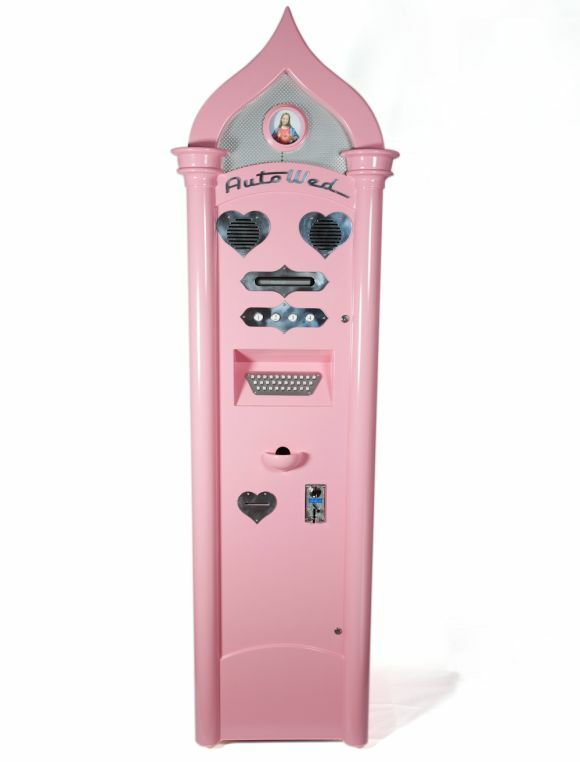 The first prototype lives in the USA at Marvin’s Marvellous Mechanical Museum (marvin3m.com), without whose endless support and enthusiasm we would not have made it a reality. 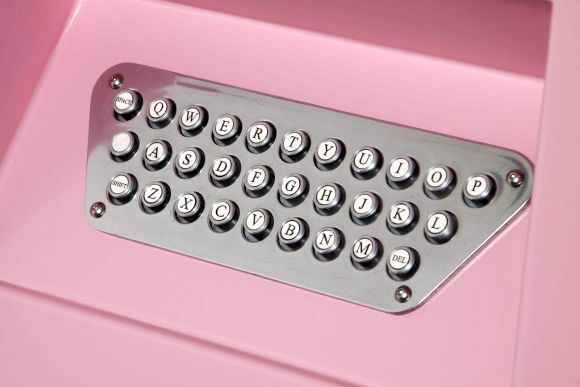 Edinburgh Camera Obscura have bought the second prototype. AutoWed unexpectedly brought us global TV and press coverage along with a satellite broadcast van and queue of reporters at The Old Lemonade Factory.